Do you find it difficult to establish a fashion brand label for your textile design products? Fashion design is interdisciplinary by its nature, and it can be more interesting if it can interact with the features of different cultures in the world. Fabric materials, weaving techniques and colours yarns use on the labels can achieve an outstanding woven fashion brand label. We helped many new design talents to develop woven brand fashion labels in this recession; we offer them finest designer woven labels quality in an affordable price, very low minimum, and free UK delivery. 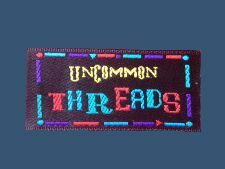 We understand how difficult to survive the recession for new design talents who just start up clothing line business with very little money but are interested in a small run of bespoke woven labels for use in their new products. 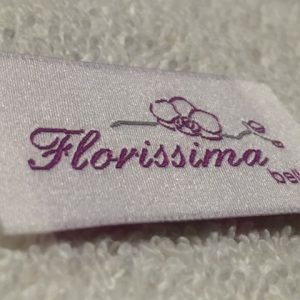 We offer focus and detailed attention to the ideas of the individual young designer; and we provide an effective teamwork in the area of collaboration of customizing perfect woven designer clothing labels. We are so proud to help those young designers setting up their small clothing brand. And we are even more excited to see the fruits of their input and hard work in fashion brand development grow successfully. What we do best is that we can create outstanding, finest designer woven clothing labels in low costs to help you achieving commercial success when establishing a luxury start up fashion clothing business. Our contact details are here; our custom labels design team will help to create a bespoke fashion branding label for your textiles products.